One Room Challenge- Week 3…PROGRESS!! Welcome welcome back to the One Room Challenge, in which one must make over a room in 6 weeks! Well, I am happy to say that despite some shenanigans, I did make some progress on my One Room Challenge room- my rooftop decks! As if I didn’t have enough to do, I decided to wallpaper a wall in my study. Sorry for the crappy lighting in these pics. No, someone didn’t break into our house and steal our doors and drawer fronts… I decided it was a great time to have our kitchen cabinetry repainted. First up, I painted the Acapulco Chairs. They are so much better sans rust. I also researched and built these self- watering planters. 2. 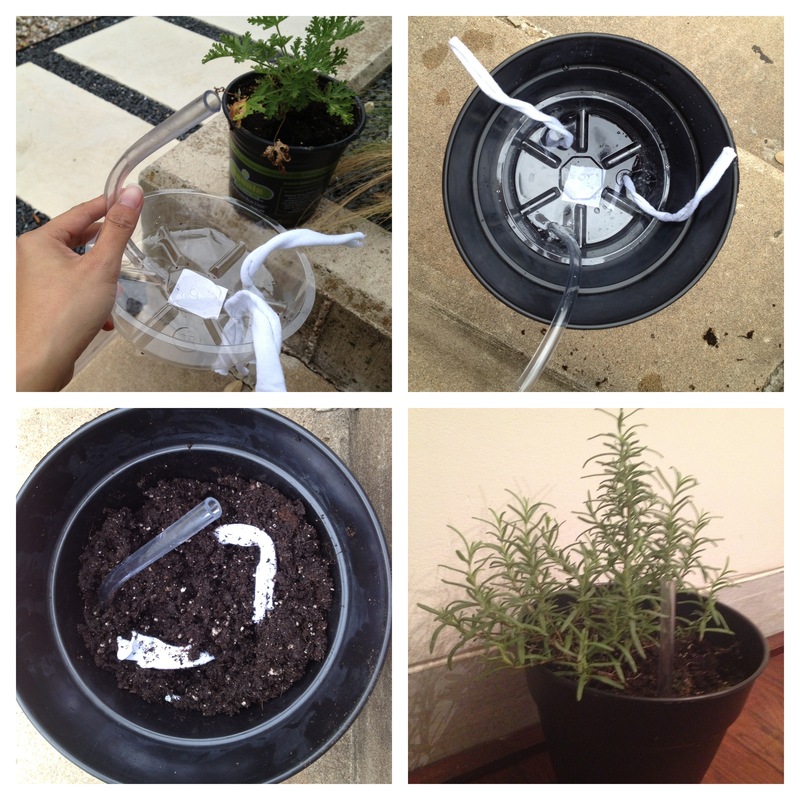 Insert plastic saucer dish that has a smaller diameter than planter in step 1. This will create a reservoir for water below. 3. Get little t-shirt strips. These will act as wicks that bring water up from the water reservoir to the soil level. 4. Poke holes in plastic saucer dish. 5. 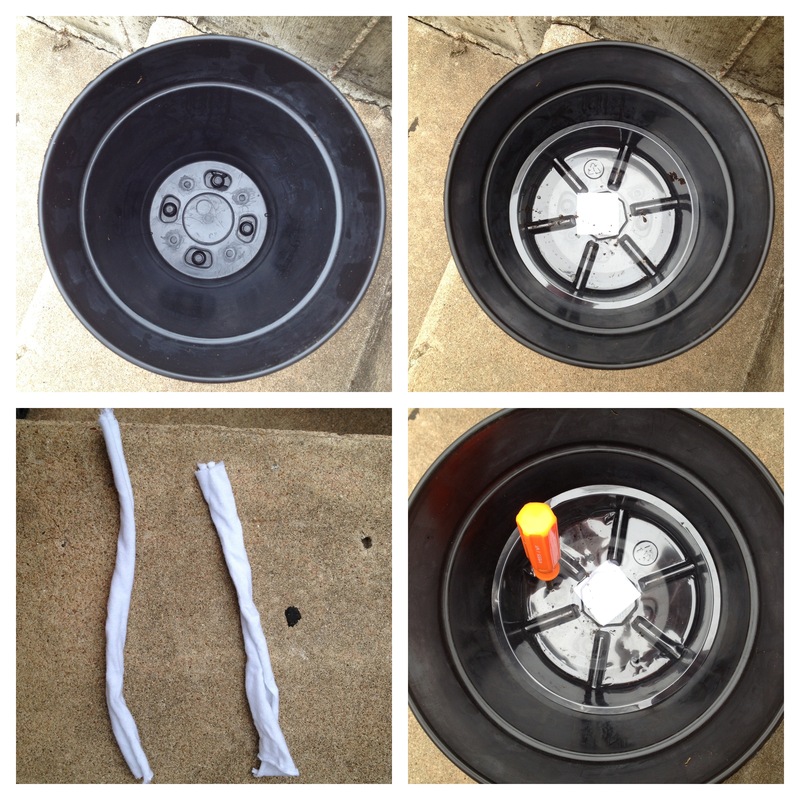 After you poke your holes, thread the t-shirt wicks through, as well as some flexible tubing. This will be the channel through which you can fill the reservoir. 6. This is an aerial view of the wicks and tubing with water below. 7. Fill halfway with soil, and bring the wicks to the middle of the soil. 8. Top with soil and admire your planter! Whereas I had grandiose plans of building an outdoor sectional, 2 thoughts occurred to me. 1. I need something less permanent that I can bring on and off the deck easily. 2. I don’t really have the time!! Umm… genius festival! Military cots! These can be tres chic if done correctly, and they are super duper portable. So we can use these when we camp with our trailer as well! And so, I picked up 2 of those babies off eBay this week! 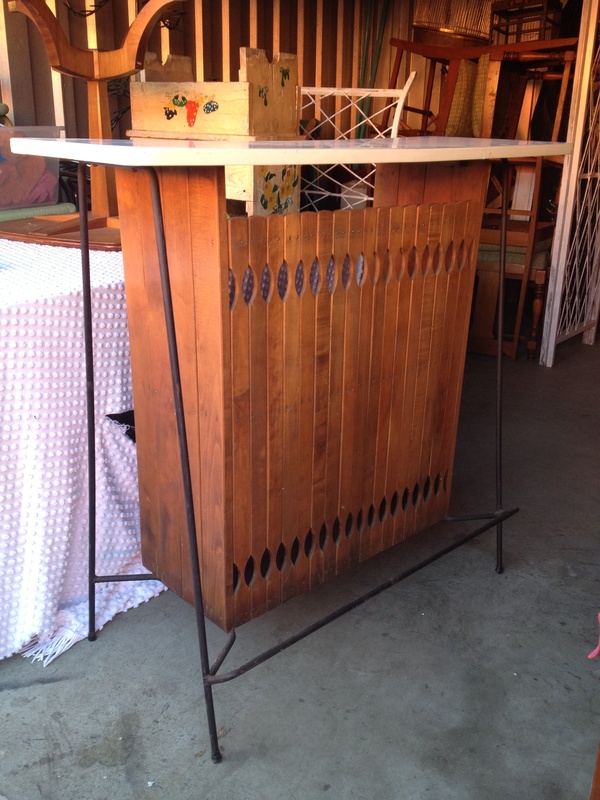 And then, for the bar…I picked this little gem off craigslist. When she suggested we drive to her “storage unit” to get the bar, I was slightly alarmed… but all’s well that ends well. I did text the address and my whereabouts to a friend just in case. I’ve seen too many made-for-TV movies about craigslist killers and so on. This weekend, I will (hopefully) install my mosquito netting fiasco. And go here to visit all the awesome linking projects going on! You always have fun items- great craigslist score! HA good luck with the cabinets! The chairs are soooo fab. And please stop. You’re making the rest of us look like slackers. Nope, nothing else…except a bird cage. Sharing is caring!! So many great finds! Can’t wait to see that bar set up!! Well, you will need to come have a drink then! glad you survived the “meet me at my storage unit” scene. chairs…..love, so much better. planter….genius. 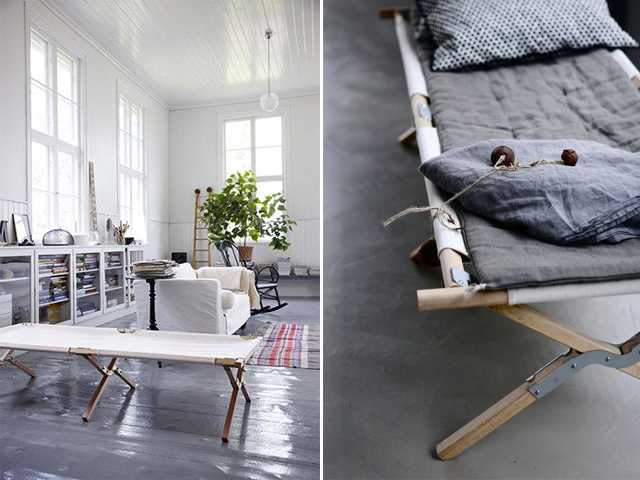 military cots…..oh my word, i am doing this. love it all, i would like to come live here when you are done. thanks. Right? Doesn’t it sound so sketchy?? You can move in…which side deck do you want? Amazing! 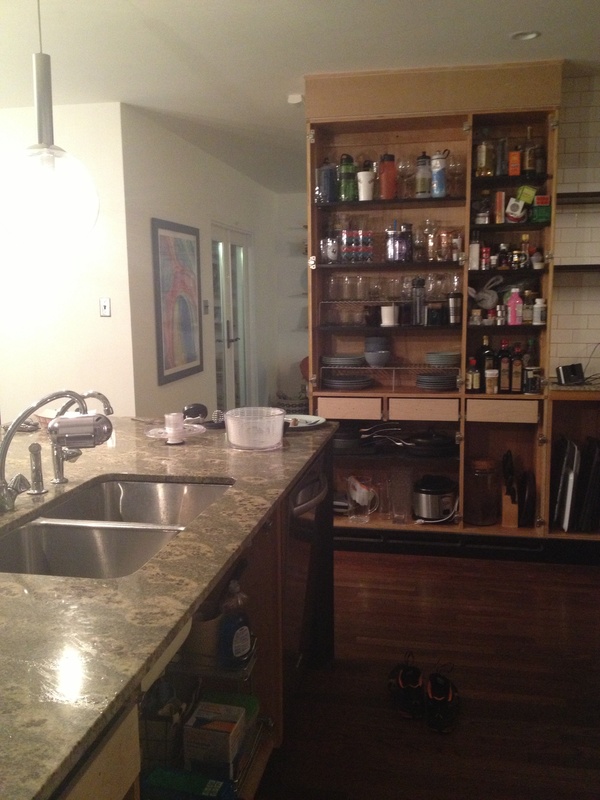 I think I would have shown how I cleaned my kitchen from last week and that would have been the extent of my DIY. Crazy impressed with all that you did. 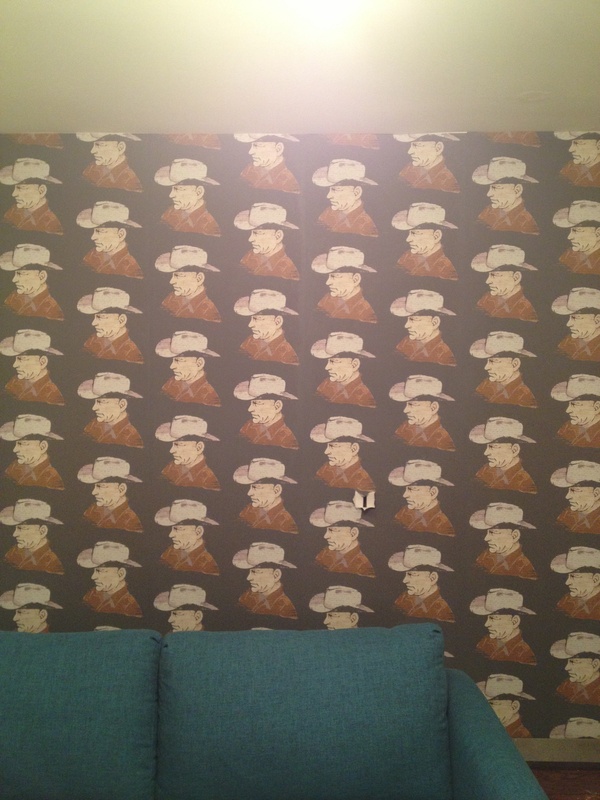 And that wallpaper – can we talk about that wallpaper? Amazing. Love the cots idea – genius. Great bar too. It’s all coming together. Thank you Kate. My lack of progress this week is disturbing though. But must keep going!!! Yes to the camp cots. Great idea. Great bar. Great chair re do. I’m all outta greats except, wait, one more, great cowboy paper. Love it. You’re great!! We’ll see how it turns out. Could be tres campy, sans chic? 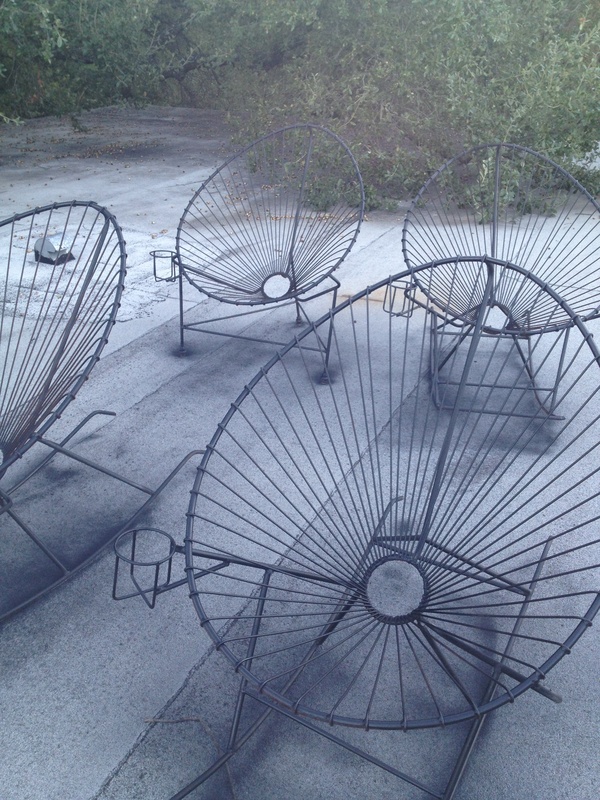 I am jealous as h*** over those chairs…they are a practical work of art. I am so excited to see this come together! Thank you Traci!! Is hell a bad word? Oh hell! ha! I’m sort of largely obsessed with the black chairs and military cot idea. Genius. And don’t get me started on the wallpaper…probably my favourite paper I’ve seen in quite some time. Cyber fist bump!! [insert ebola joke here] wait, too soon? anyways, thanks so much Christine. You’re so lovey dovey… ha! I’m sure you’ve heard that before. The cots are brilliant! You are a genius! OMG so much goodness in this post. BUt the military cots are now my on my must-have list. Super chic and fun! Thanks Kim! We will see how they turn out! I have a DIY in store…. When your rooftop deck is done I’m coming to Austin and sleeping on your army cot. I probably won’t even ask permission, but one morning you’ll find me passed out on your cot with beer bottles scattered about! That’s the only way it could be, and should be. Hopefully, we’re talking Stella bottles rather than PBR. Ha!! You have so many amazing things going into that space – I’m coming over for the party when it’s done, ok?! Yup! You are always invited to the party!!! I just noticed that those chairs have built in cup holders… I think I’m sensing a recurring theme here 🙂 Seriously though, this is shaping up to be a very cool space. Love that it’s not going to be a cookie cutter outdoor area and instead will reflect your very awesome personal style. Hoping it all works out in real life like it does in my head! Thanks honey! 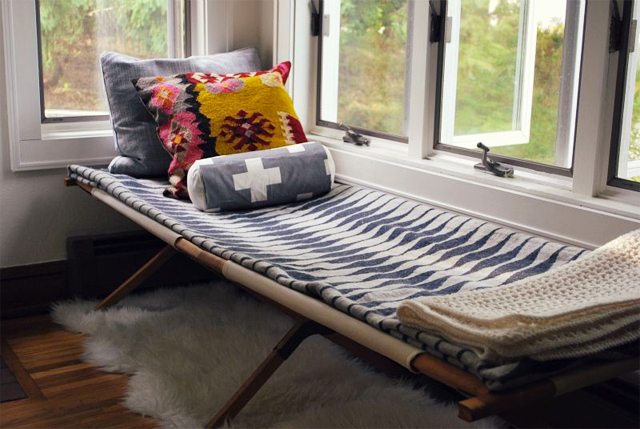 I love the cot idea, and where did u get the wallpaper from? It’s amazing! the wallpaper!!! Oh my!! LOve it. I want to come visit already! You are ALWAYS welcome. I mean it. Ha!! Yes, hopefully the military cots work out. I’m glad I’m alive too…I’ll live to craigslist another day. Aww, thank you so much! We will see how the planters hold up, but thanks for commenting about them. You were the only one!! Ha!! I cannot tell you how much I am IN LOVE with every find you just posted. I seriously want to come to Texas and shop with you. I can’t wait to see how you put it all together, especially that killer wall covering. Wow, thank you so so much. So sweet!! Obsessed with the military cots!! Soo good! ← Pretty in Pink- Killy Scheer of Scheer & Co.